Ed's TV appearances include Dave's One Night Stand (UKTV), Virtually Famous (E4), Sweat the Small Stuff (BBCThree) and Mock The Week (BBC2). Ed has earned a Chortle Award in 2014 for Best Compere and provided national tour support for Greg Davies' shows The Back of My Mum's Head and Firing Cheeseballs at a Dog. He has also supported Russell Kane and Chris Addison. 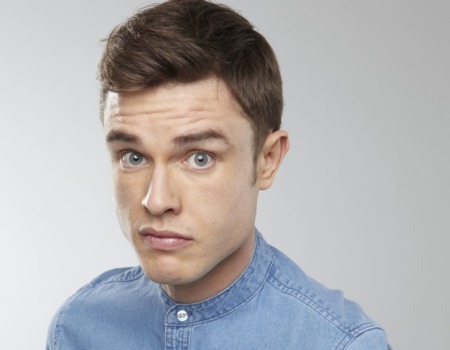 "An ability to open his mouth and spontaneously say something hysterically funny"
Brennan is a bright young rising star who was recently crowned 'English Comedian Of The Year'. In his few short years as a stand up comedian Brennan has received many accolades and performed all over the world, most recently in his first Australian tour. His energetic and often awkward approach to life is captured in his fast paced, vividly painted, humorous stories and is establishing himself as a circuit regular. He has appeared in BAFTA winning drama Marvellous (BBC), toured with global megastars The Who (UK Quadrophenia Tour) and played in every major comedy club in the UK. Despite him being a relative newcomer his reputation is fast becoming that of a talent to look out for.